I recently added a Litepanels LP Micro Compact LED Light to my DSLR kit. In part, because I wanted a continuous light for close up photography and for video with the Canon 5D Mark II. I chose the Litepanels Micro because it has good output for a small light, is 5600K daylight balanced, has an adjustable intensity knob, uses 4 AA batteries, and it's virtually heat free. Even though the panel is over 3" wide, the light sometimes seemed a little harsh for certain subjects. 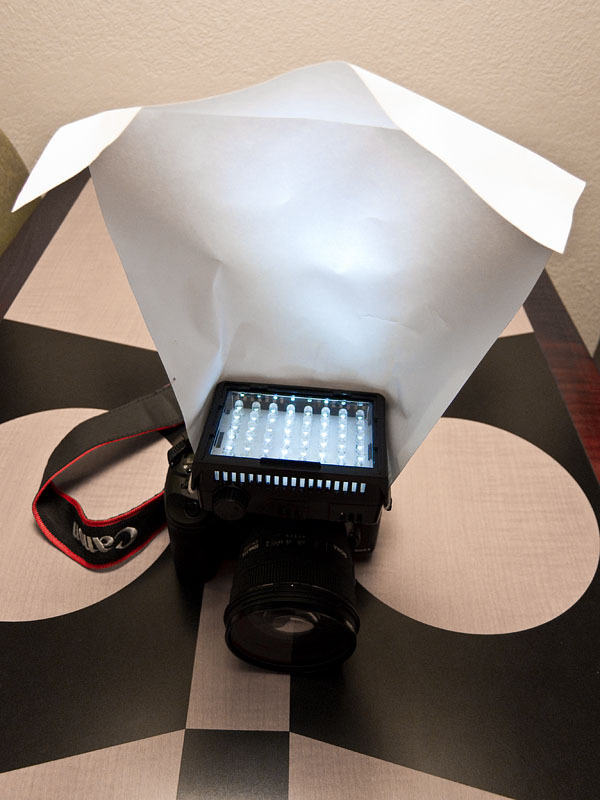 I decided that I wanted to make a diffuser for the Litepanel, so I constructed one using only a letter-sized sheet of paper and a large rubber band. With the diffuser, the quality of the light was much softer, yet, there were still nice highlights in the photo. 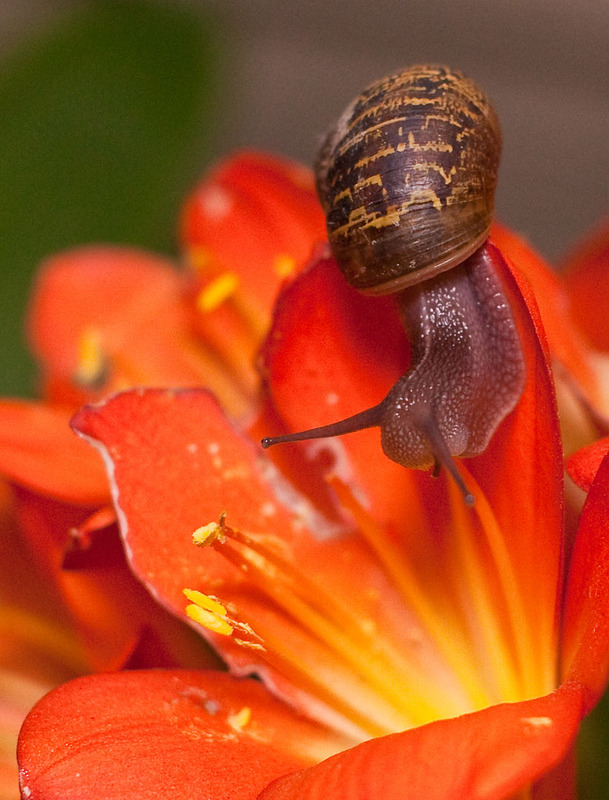 I shot the picture at night when the snails were out having their meals. Even diffused, there was enough output from the Litepanel for me to shoot at 1/30 at f/2.8 in the darkness. Because the light is continuous, I can better compose the shot, and work quickly. The Litepanels LP Micro Compact LED Light is not cheap: about $275. But I like having it in my kit along with a regular flash for these types of subjects. Photographs by Derrick Story. Click on images to enlarge. Woa that light seems pretty expensive for what you get!